After this your Logic app continues. 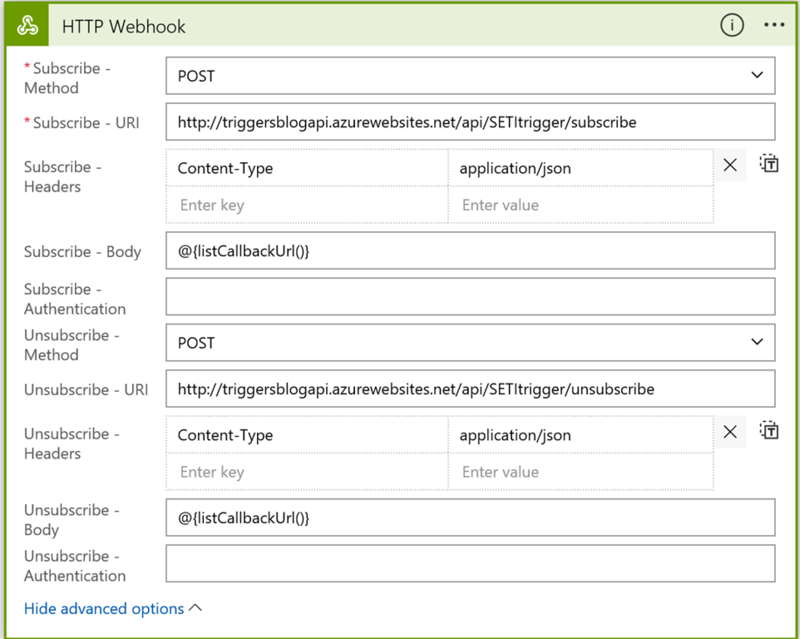 For using the pushtrigger you need a webhook-connector in your logic app. This needs to call the subscribe and unsubscribe-methods of your API App. 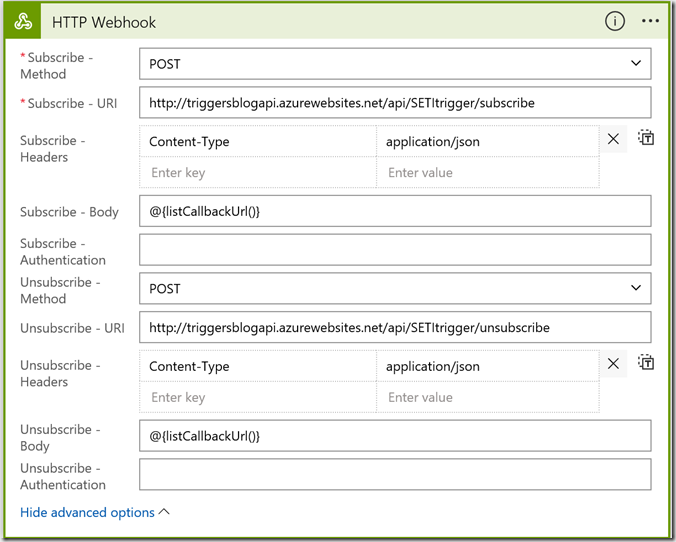 For the body you need to pass the callback url.